/ Modified feb 18, 2016 10:30 p.m.
Is Tucson the ugly brother of Phoenix? Do Tucsonans ride around in horses and buggies? 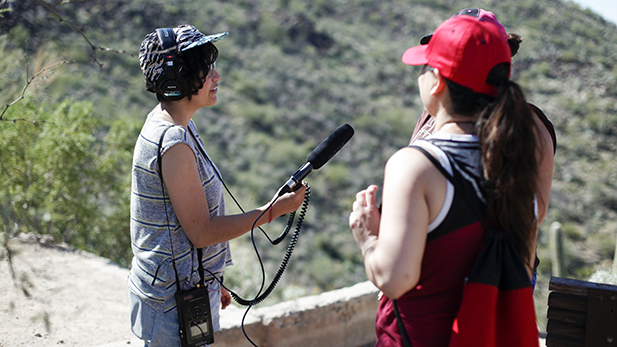 The Dimelo team took to the hill last weekend (Tumamoc Hill, that is) to ask people a slightly touchy question - what stereotypes are there in your community? Do they exist in your community? Which are the most common ones? How do they affect you or others around you? Can you find the mailbox on Tumamoc? 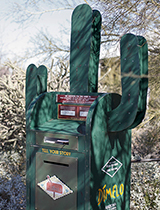 You also find our first story mailbox at the midway point of Tumamoc Hill, where you can share your story. Every week we ask and you answer. To learn more about the project or to participate go to www.dimelostories.org.